You are here: Home / Are You Ready to Move Your Life Forward? You’ve tried counseling. You’ve done your research. Maybe you’ve even talked to your family and friends. And now you are ready to take the next step in this process. Moving forward starts with scheduling a time to meet with a family law professional to learn more about your rights and options, should you ultimately decide that a separation may be the right choice for you. If you are ready, there is no need to read any further. 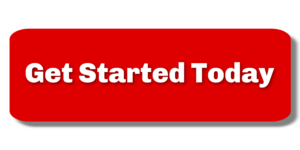 Just dial (919) 883-4861 and we will help you start the next phase of the process. Alternatively, you may decide to learn more about our DIY Divorce service. DIY Divorce provides you with unlimited virtual access to a lawyer, forms and instructions, and an online community to support and help you, all for one low monthly price. We are happy to discuss this service when you call. As a third option, we offer limited scope representation through our unbundled divorce services. By hiring us for limited scope services, you can control the pace of your case and the amount of work that you need us to do, thus keeping your overall legal costs in check. How Can You Pay for a Divorce? You don’t remember most of the conversation. But you do remember the pit in your stomach and the feeling of complete loneliness as you went to bed alone for the first time in years. When you wake up in the morning, you wonder if this was all a bad dream. But then you realize that this is real life and there’s no turning back to the way things were. You can’t undo the conversation, and now you need to start the process of moving forward. You start to miss the way things were. There were ups and downs, but you begin to rationalize that it “wasn’t that bad”. You miss the routine. You miss the family dinners and weekends together with the kids. You miss having someone to talk to after a long day. Things weren’t always roses and sunshine though – there were fights. Long, drawn-out, emotional arguments that kept you both from getting a proper nights sleep. You rationalized those events and things that couples go through. This was normal for a marriage you thought. But now things are different. You are in for an entirely different type of fight – one that is foreign to you and you would gladly exchange it for an argument over socks on the bedroom floor. This process is scary. You feel like your life has spun out of control and you have no idea where to turn. When your air conditioning breaks, you call the AC repair guy because he knows how to make your house feel normal again. But right now nothing in your house feels normal, and there is no AC guy that can fix what you are going through. But you know the answer is staring you in the face, literally. You know you need to call a lawyer. But you are nervous. This isn’t an AC unit, it’s your life. The decisions you make in the next several months could impact your life for years to come. They could impact your kids, your house, your retirement, you finances, and your future. And you have no idea what to do or where the problems lie. You are starting to wonder who will get the kids during the holiday season? What will happen to the 401(k) plan that you have been building up for the past 10 years? Will you have enough money to live on? How will you tell your family or your friends what you are splitting from your spouse and moving towards a divorce? There are no simple answers here. This isn’t a broken Air Conditioner. There is no quick fix. This is complicated and will take some time to work out. The thought of calling a lawyer is scary and daunting. Not scary like the Copperhead I found under our trash can, but scary in that the law is vague and doesn’t provide a lot of answers. Many lawyers are too “lawyerly” with the way they talk and they can’t give you any good answers. They don’t explain what is happening in your case in a way that you can understand and appreciate. You’ve talked to other people going through a divorce, in your support group or somewhere else, and come to realize that the lawyers are usually driving the bus when it comes to settlement. It seems like lawyers like to go talk amongst themselves and then come back and tell you what the deal its. If you don’t like it, then too bad, you need to go to trial. You wonder if this is what is going to happen to you? Divorce is like some strange mid-evil proceeding where the lawyers go into a room and talk about you, then come out and tell you what your future will look like. You don’t understand what they are doing, nor do you understand why they are doing it that way. Nothing makes sense and the lawyers aren’t jumping up and down to share with you what is happening. They would rather keep you in the dark about your future rather than help you to understand what is happening and why. One of the scariest parts of moving forward with a separation and divorce is the cost associated with it. Money is already tight – this could be one of the things that is driving you to separate – and the prospect of paying thousands of dollars to a lawyer is nothing if not completely daunting. Not only that, but you know that the first payment you make to the lawyer is only a “down payment” and that the longer your case goes on, the more you will have to pay. And how will you stay informed about your case? Will you have to call (and pay) your lawyer just to get case updates? We’ve been trying to doing things a little different from day one when we opened our doors back in 2005. When other lawyers zig, we try to zag. We believe in building relationships with our clients, one client at a time. Our goal from the very beginning has been to provide you with as much free information as possible so that you can make informed decisions about your case. And that starts way before you even become a client. Many people read through our website for months or even years to learn about the process of separation and divorce before they ever call our office. Many lawyers want to keep this information from you and force you to pay them a huge retainer to get legal advice, but not us. We have always believed that an informed client is our best client. Client’s that don’t know what is happening with their case or how the law affects them tend to have less favorable results in their case. Conversely, when you have a firm understanding of what the law says about divorce, you are less likely to do things that could hurt your case. We want you to have that understanding so that we can achieve the best possible outcome for you and. Your case. The more information we give away, the more positive reinforcement we get in the form of feedback from our current clients and new clients that have found us through our free information online. And as we work with and talk to more and more people, we have come to realize that not everyone needs full-service legal representation, but everyone needs some form of legal help with the process of separation and divorce. That’s why we have started offering different ways to work with our firm, from the free information and resources on our website, to unbundled legal services, to DIY Divorce. No matter your budget, we have developed an offering that can help you through this difficult time in your life. In addition, we have implemented systems and processes that allow you to constantly understand what is going on with your case and see what documents have been filed. You will receive 24/7 access to a secure client portal where you can communicate securely with us, and collaborate on your file. No more wondering what is going on with your case or when something is going to happen. It’s all there in the client portal. Calling a divorce lawyer is one of the scariest things you can do. Nobody ever thinks that this will happen to them. You don’t know what is going to happen or how things will shake out. But that doesn’t change the fact that you need to pick up the phone and talk to us. We will get some basic information from you and schedule a confidential, in-person assessment to figure out where you are at and determine what the best way to move forward is. We will outline your goals, talk about your family and marital history, and determine what is most important to you. At the end of the meeting, we will recommend a plan of action to help you start to move forward. And we will answer all of your legal questions, of course. You’ll walk away from that meeting with more information and guidance than you will have ever thought possible. And the best part? The information and guidance you will receive is tailored to YOUR situation, not just some generic information from the internet. Divorce is a scary and intimidating process. You feel like your life is falling apart. Our goal is to answer your questions, give you some peace of mind, and walk you through the process step-by-step. Legal fees can be daunting, especially in a divorce situation. At The Hart Law Firm, we are continuing to experiment with different fee structures so as to provide the best and most straight-forward experience for our clients. We have migrated away from the traditional trust account/hourly fee billing that many firms in the area use and instead opted for a mix of flat fees and minimum fees. Doing this has allowed our clients to have a much better understanding of what their fees will be so that they can budget accordingly. You will understand what we will be doing for you at every step of the process and how much the legal work will cost. During your initial divorce assessment, your lawyer will give you an estimate of what your case will cost, and the steps that are involved in the process. If you think you might be ready to get started and learn more about your options, click the link below to call us today. Let’s be clear on one thing. Nobody wants to go through a divorce. It’s a painful process for your entire family. We often tell our clients that the best legal advice we can give you is to work on your marriage and avoid this process entirely. If you are interested on working on your marriage, here is a book that we highly recommend. If you decide to read it and it helps your marriage, please let us know. I you think you need a bit more help than simply reading a book with your spouse, we are working on a list of counselors and therapists in the Triangle that we recommend. If you are past working on your marriage, then you need to start readying yourself for the divorce process. The first step of this process is to learn more about your legal rights and options. Your ability to recover assets such as an equitable distribution of marital property or even alimony could be jeopardized if you don’t organize your affairs properly. And this is true whether or not you decide to move forward with a separation and divorce. Because even if you have decided to wait things out, it doesn’t mean your spouse will. They could already be meeting with a lawyer and preparing a separation agreement for you to review. Or, they could be in the process of filing a lawsuit against you that will require you to appear in court for a hearing with very little time to prepare. For these reasons, you need to get answers to your questions now, while you are able to think clearly about the situation. Ignoring the situation will put you at a disadvantage later on, jeopardizing your financial well-being, your relationship with your kids, and your future. Don’t wait. Now is the time to start. We’ve been helping families through the process of separation and divorce everyday since 2005. We started as a family law firm in Orlando and moved to North Carolina in 2010. And since we first opened our doors, family law has been our bread and butter, accounting for the vast majority of our firm’s revenues. We believe in building strong, lasting relationships with our clients. The only way we can do this is to be straightforward with you and fair about what you can expect from us and from the entire process. We are completely transparent in how we work, what we charge, and how we believe your case will get resolved. Our goal from day one is to put you at ease about the process and alleviate some of the common concerns and frustrations that people who are going through a divorce will experience. You are scared and frustrated and emotional. Your life is falling out of control and you need something to stop the pain. You are nervous about some of the horror stories you’ve heard from your friends who have been through a contentious divorce. You don’t want that. But you aren’t sure where you should start either. The first step of this process is to do some research. We’ve created this website to help you through this process. 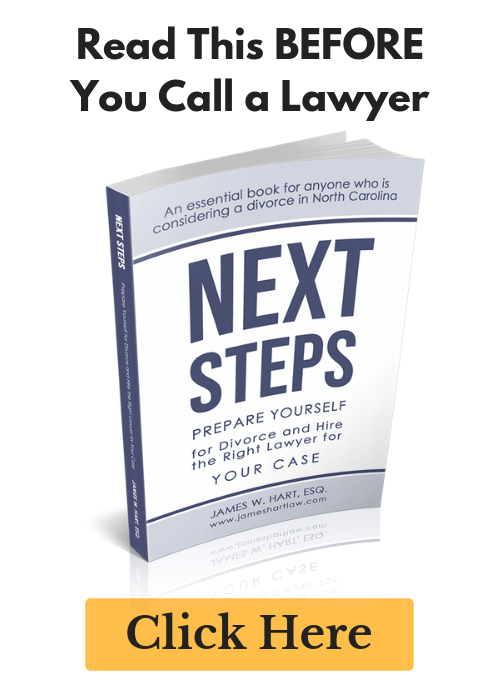 In it you will find forms, videos and articles that go over everything you need to know about getting legally separated and divorced in North Carolina. But for many of you, this isn’t enough. Just because you read an article or watched a video doesn’t make you feel better about YOUR situation. You are afraid that you have missed something and you want some professional help. You’ve got better things to do with your time (like take care of your family and earn a living) than trying to play lawyer and navigate the entire family court system. So your first step is to call our office to schedule a meeting with a family law attorney to review your situation, find out what is at stake for you, and start to figure out how to protect yourself from what is coming next. This is the most important meeting you will ever have. Don’t take it lightly. We’ve seen it before. Once the lawyer gets involved they take on the alter ego of their client and instead of acting rationally and remaining unbiased, every hot button issue that drove the client to a divorce is now a hot button issue for the lawyer. If this lawyer represents your spouse, you may be in for a wild ride, and not in a good way. Don’t wait to call a lawyer. In another situation, you think you can handle things on your own. But after several months of trying to “negotiate” with your spouse’s lawyer, you come to realize they are just gathering information to use against you at trial with no intention of settling the case. Again – don’t wait to call a lawyer. Waiting until things have plummeted downhill is a problem. The easiest and best way to settle a family law case is to be proactive early on, before things get ugly. You need information and answers. You need to know how the decisions you make now will affect your children, your financial well-being, and your future. If you are incapable of making these decisions on your own or fail to understand what you are doing, you need to call for help. Our goal here is to help you maintain a tone of civility with your case. We don’t believe in picking fights just for the sake of arguing. We work best with clients who share our goal of resolving their case amicably and with as little hostility as possible. There is no “winner” in a divorce case. But you can minimize your losses if you handle your case the right way. There are a lot of spouses who feel that hiring a lawyer is a waste of money. Whatever money you saved during the marriage is getting eaten up in legal bills while your lawyers fight over some ridiculous legal motion that you don’t even understand. The more your lawyers fight, the more contentious the case becomes, and before you know it your entire life is spiraling out of control. To keep the conflict at bay, we offer numerous ways to resolve your case outside of the traditional legal channels. The two most popular methods we employ are collaborative divorce and mediation. However, we can also use arbitration to resolve your case, or we can work with you to coach you through the process with limited involvement on our end. We are only able to develop relationships with our clients by doing things differently than more traditional law firms. Our goal is to give you the information you need so that you can take back control of your case. This mindset starts when you first meet with our firm and we talk to you about your goals and what you are trying to accomplish. We can then plan out a strategy that will help you to obtain the results you want at a cost that you can live with. Are you ready to move forward and begin a new life? If you think you might be ready to get started and learn more about your options, click here to contact us today.